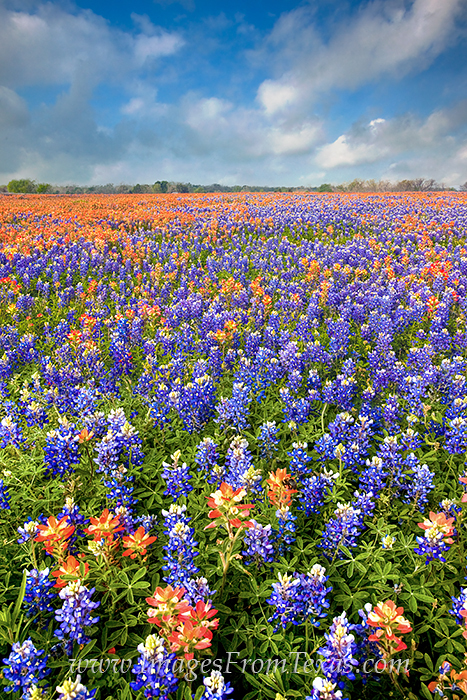 This wildflower image of bluebonnets and paintbrush is one of my favorites in my travels around Texas hunting for spring blooms. Bees buzzed around my feet and the clouds were soft and gentle, acting as a giant filter. I loved the contrast of blue and orange in this field near Whitehall, Texas, and hope to see this display again one of these years. Photo © copyright by Rob Greebon.